← 2016 Monlam Australia Three Day Prayer Festival. We are delighted to announce that our precious teacher and spiritual guide Venerable Dekhung Gyaltsey Tulku Rinpoche, has arrived in Australia for the annual Monlam festival in Sydney. 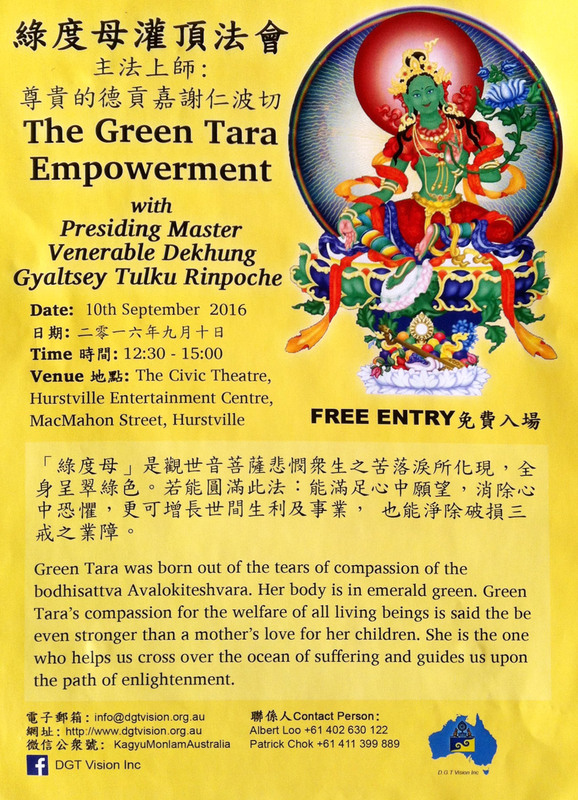 When in Australia Rinpoche-la is residing at 53 Calmsley Place, Horsley Park 2175.